We can help save the tree that you and your family hold dear. 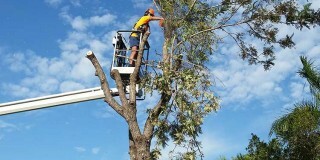 Book a tree lopping service before the next storm season. We can advise you on planting, trimming and more. 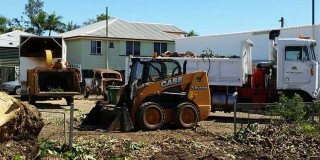 Our landscape clearing services are the perfect start to any project. 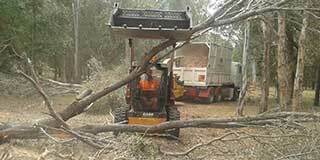 Our strategic branch removal services can boost safety around the home at the same time as beautifying the garden. Whether it’s in the way or looking sickly, we can quickly assess and remove any tree causing you trouble. 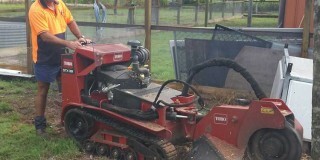 Prevent pests from running rampant on your property with our fast and affordable stump grinding service. With the help of our machinery fleet, your new housing lot can be clean and clear in no time at all. Get a solid head start on your home renovations with our fast, safe and effective property clearing. 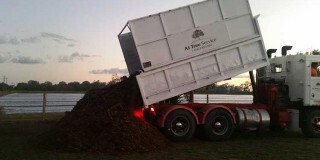 Effectively maintain and beautify your garden with some of the finest old and new mulch money can buy. While a great deal of what we do is based on years of experience, the real efficiency and effectiveness of our services comes from our unique industry-specific qualifications. As fully qualified arborists with a Diploma in Arboriculture and a Level 5 Consulting Arborist, we are “tree experts” who tackle any given situation with a heightened degree of knowledge and science. From backhoes to tip trucks, we can provide you with everything you need to tackle the big jobs your way. With our operators on hand you can get more work done, faster. Large jobs in less time. Utilising our reliable excavator and the latest in horizontal grinding technology, we can effectively clear large tracts in less time. Three generations of hard fought industry experience are packed into every lop and removal. 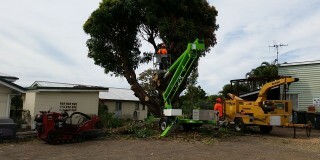 Every member of our team is a fully qualified arborist and chainsaw operator. No matter which service, we do what is safe for you and right by the environment.